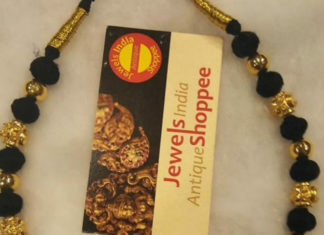 Antique nakshi balls and black thread necklace studded with rubies by Jewels India Antique Shoppee. 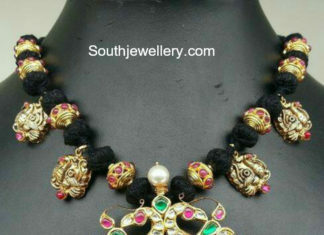 Black dori necklaces adorned with gold motifs by Urmila Kailash soni & son's. 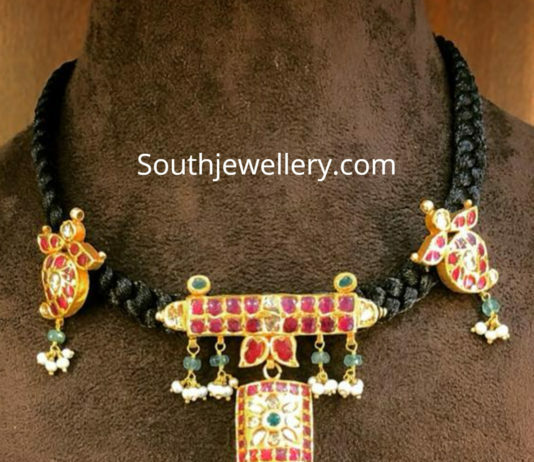 Black dori necklace adorned with peacock gold motifs and peacock puligoru pendant adorned with cz stones, emerald, rubies and south sea pearls by Neminath Jewellers. 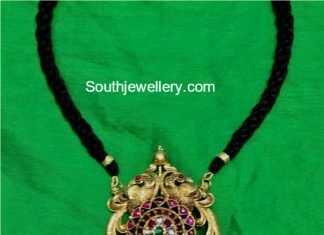 Simple black dori necklace adorned with kundan gold motifs by Amarsons Pearls & Jewels. For inquiries contact: Contact : 099660 00001 / 098483 99866 Address: Opp. 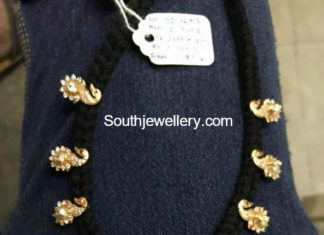 Nanking Restaurant S.D Road Parklane, Secunderabad. 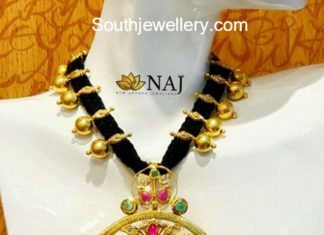 Black thread necklace with Goddess Lakshmi pendant studded with cz stones, rubies and emeralds by Naj jewellery, Nellore. 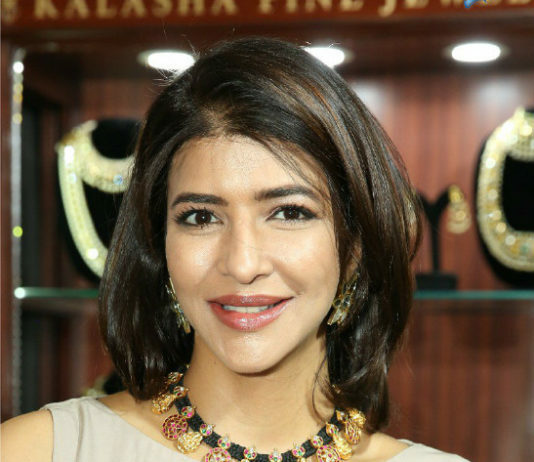 Black dori necklace with peacock kundan pendant by Hiya Designer Jewellery. 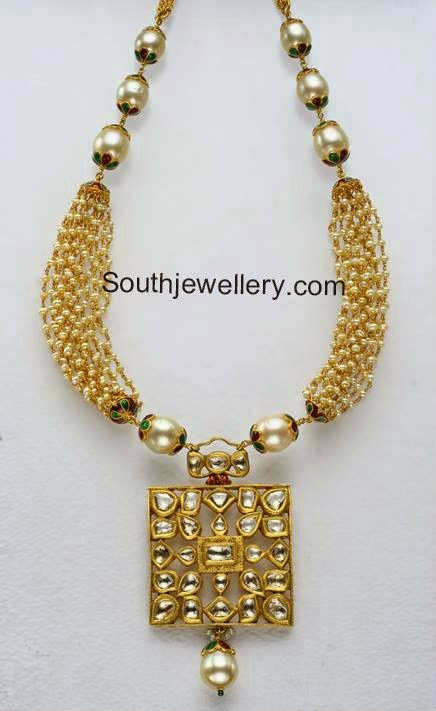 22 Carat gold antique floral haram studded with cz stones, rubies and emeralds.